Each year ELM names a Joel R. Workin Memorial Scholar to honor the life and ministry of Joel Workin. 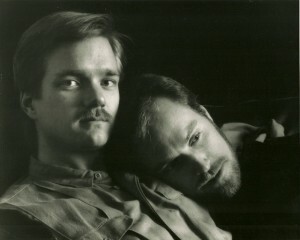 Joel was one of the three gay seminarians who were refused ordination in 1989 after “coming out” to their candidacy committees. This award comes with a $6,500 scholarship for academic or spiritual study and is available for members of Proclaim who are studying to be rostered leaders in the Lutheran church. Now Accepting Applications for the 2019 Joel R. Workin Memorial Scholarship! 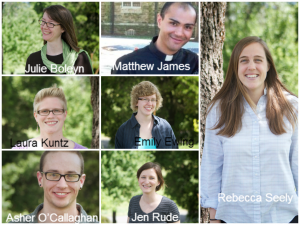 As of April 22nd, 2019, The Joel R. Workin Memorial Scholar Committee is pleased to invite publicly-identified lesbian, gay, bisexual, transgender, queer, intersex, asexual + Lutheran candidates for rostered ministry to apply to be the 2018 Workin Scholar. Applicants must be a member of Proclaim. To download the 2019 Application Packet, please click the link below. All application materials are due by Friday, May 17th, 2019. This Joel R. Workin Memorial award recognizes a gender and sexual minority leader who embodies Joel’s passion for justice and faith in their lives and ministry. The award includes $6,500 to be used for academic or spiritual study. In addition, the Scholar may be invited throughout the year to be involved with various ELM activities. Chair of the Joel R. Workin Memorial Scholarship Endowment Committee is Michael Price Nelson, a close friend of Joel’s and editor of Joel’s collection of writings. Other committee members are the Rev. Jeff R. Johnson and Greg A. Egertson, beloved friends and classmates of Joel; past recipients the Rev. Rebecca Seely and the Rev. Matthew James; and ELM Executive Director, the Rev. Amanda Nelson. Joel’s ministry continued in Los Angeles, however, at the AIDS Healthcare Foundation and as Director of Chris Brownlie Hospice. On December 30, 1988, Joel married Paul Jenkins. Joel was a member of St. Matthew’s Lutheran Church, North Hollywood. He and Paul were active in Lutherans Concerned/Los Angeles and Dignity/Los Angeles. Paul and Joel both died from AIDS – Paul on June 6, 1993 and Joel on November 29, 1995. In the last weeks of his illness, Joel gave his friends and family permission to sponsor an endowed memorial fund in his name. The Joel R. Workin Memorial Scholarship Fund was thus established upon his death. Information on ordering the book here. The new edition features a new foreword by the Rev. Erik Christensen, as well as several never before published sermons, including the sermon Joel preached at the Rev. Jeff Johnson’s installation at First United Lutheran Church in 1990. Editor Michael Nelson has gone through stacks of material to select pieces for the new book. Joel’s parents, Betty and Ray Workin have generously underwritten the costs of the second edition. Proceeds benefit ELM’s mission. If you would like to make a gift designated for the Joel R. Workin Endowment Fund, please contact Amanda Gerken-Nelson, Executive Director at amanda@elm.org or 312-465-1562. Please consider making a planned gift from your estate to this fund.